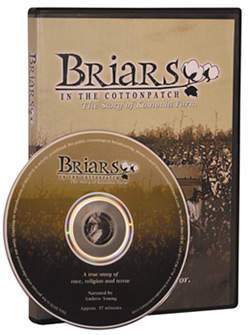 Briars in the Cotton Patch tells the nearly forgotten story of a courageous group of blacks and whites who withstood bullets, bombs, and boycotts in the years leading up to the tumultuous Civil Rights era. Narrated by former Atlanta Mayor and Civil Rights veteran Andrew Young, this one-hour documentary examines the remarkable personalities and events of Koinonia Farm. See how Koinonia survived the battles of integration, changed the lives of generations to come, and planted seeds for the global work of Habitat for Humanity International. Briars in the Cotton Patch, a compellling chronicle of heroic humility and uncommon courage that echoes to the present day. 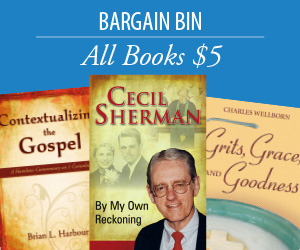 "I would rather face the frantic, childish mob, even with their shotguns and buggy whips, than the silent, insidious mob of good church people who give assent to boycott and subtle psychological warfare."